This is not exactly a song of the week. It’s more a tip off to a mini-movement. 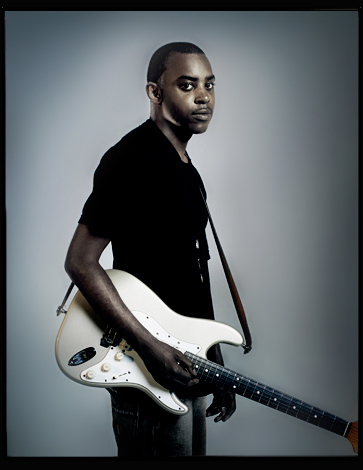 Random Impulse is a rapper/MC who also happens to play guitar. Every Sunday he ‘refixes’ a popular track – building it from scratch and then adds a freestyle over the top. A very simple recipe which is very filling. This week he refixes Devlin’s Runaway. What I like about Random Impulse’s covers is the way he adds colour, tweaking it and using his guitar to the max. This turns Runaway from a fairly lightweight instrumental in to a bit of a beast (and I prefer it to the original). P.s. random point… am I the only one who thinks Devlin and Professor Green are the same person? Posted in Song of the Week, SongsTagged Devlin, grime, Hip-Hop, Music, Random Impulse, Rap, refix, remix, Runaway, song, Song of the WeekBookmark the permalink.